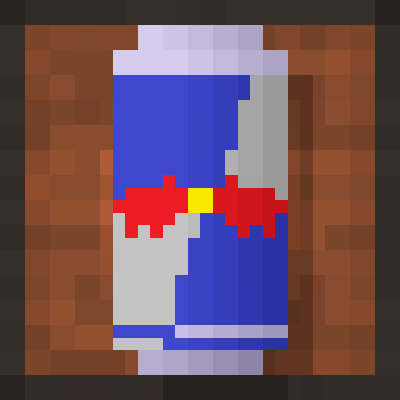 This is a parody of the popular Red bull energy drink that works just like it does in the commercials. In other words, it is a drink that will give Steve wings. It’s absolutely criminal that there’s no 1.12.2 version of this outright prepossessing mod. I think we have a 1.12 port ready but it needs some rendering to be finished. Sure here is -1 download points, use it to trade in for any other mod.